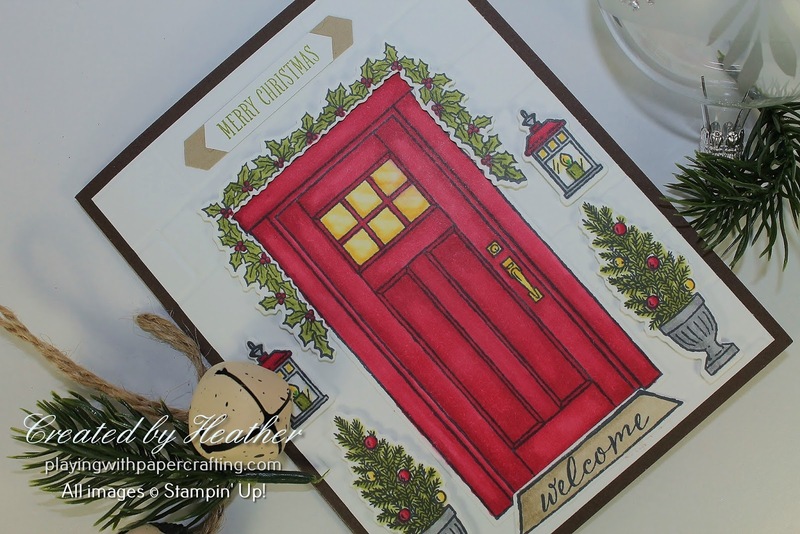 Today, I wanted to share a card that highlighted the Stampin' Blends alcohol markers from Stampin' Up! 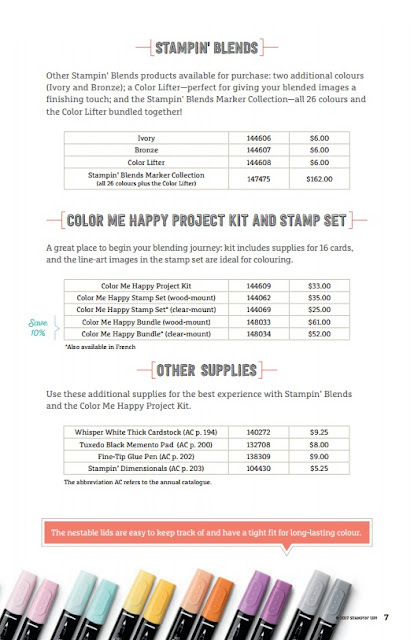 so I did a survey of my stamp sets, to find a set that would showcase the markers well. 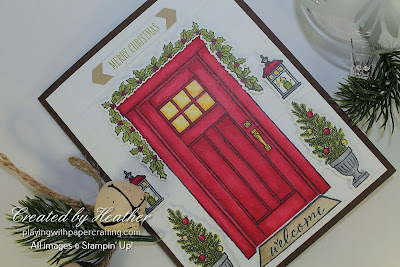 I came up with the At Home With You stamp set from the Annual Catalogue, because it is so versatile and has many accessories for the Christmas season. 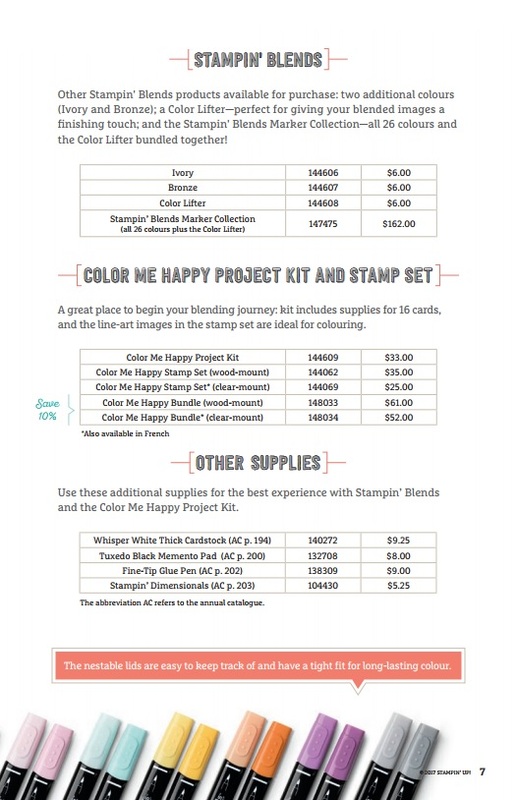 I've been kind of waiting with excited anticipation to use them, and with the introduction of the Stampin' Blends, I had an extra reason to ink this set up! For this card I used the two shades of Cherry Cobbler, Old Olive, Daffodil Delight, Smoky Slate, and Crumb Cake and spent a happy hour or two colouring in all the pieces. 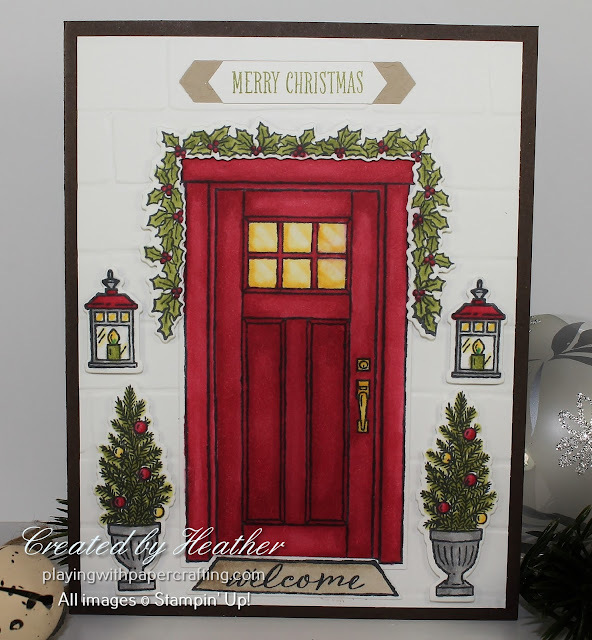 Using the two different shades really adds depth and dimension to a project! 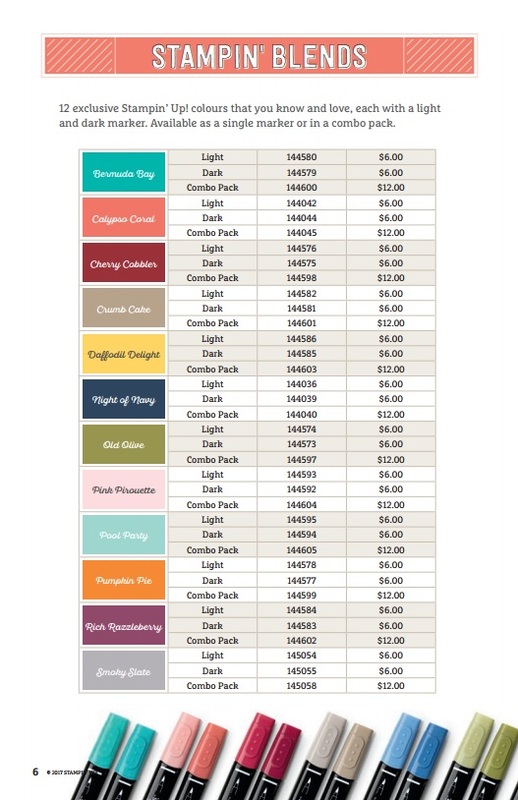 My method is to fill in an area with the lighter shade, then fill in the smaller areas of shadow with the darker shade, and go over it all again with the lighter shade to blend. I'll then use the Colour Lifter to fix mistakes or add highlights. 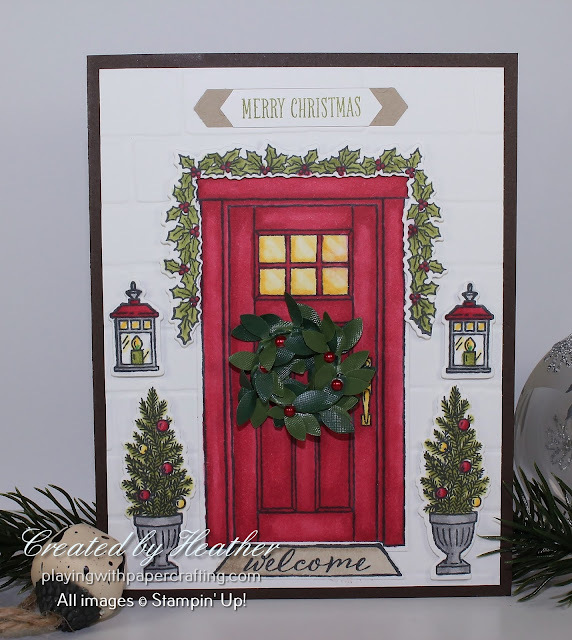 The At Home Framelits die cut all these shapes and I mounted them on Whisper White cardstock, dry embossed with the Brick Wall embossing folder, and added it to the card base of Early Espresso. I also tried a version of this card that used one of the Boxwood Wreaths Embellishments on the door, but I was uncertain about whether or not this fit in with the rest effectively and decided to show you both versions of the card and let you decide. 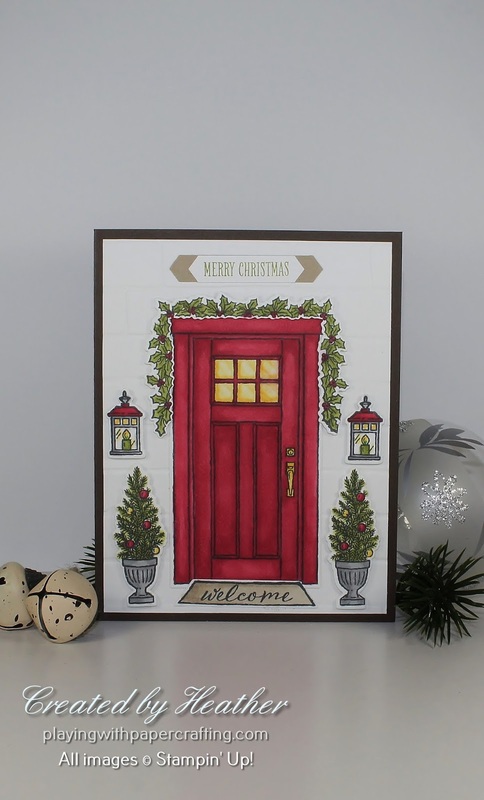 There is one other important use for the Stampin' Blends Alcohol markers that this wreath showcases and that is that they can colour the Pearl and Rhinestone Basic Jewels to any shade that the alcohol markers come in. 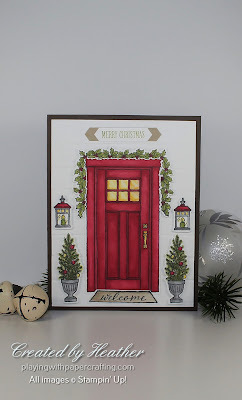 For the wreath, I added some small pearls coloured with the dark shade of Cherry Cobbler marker. 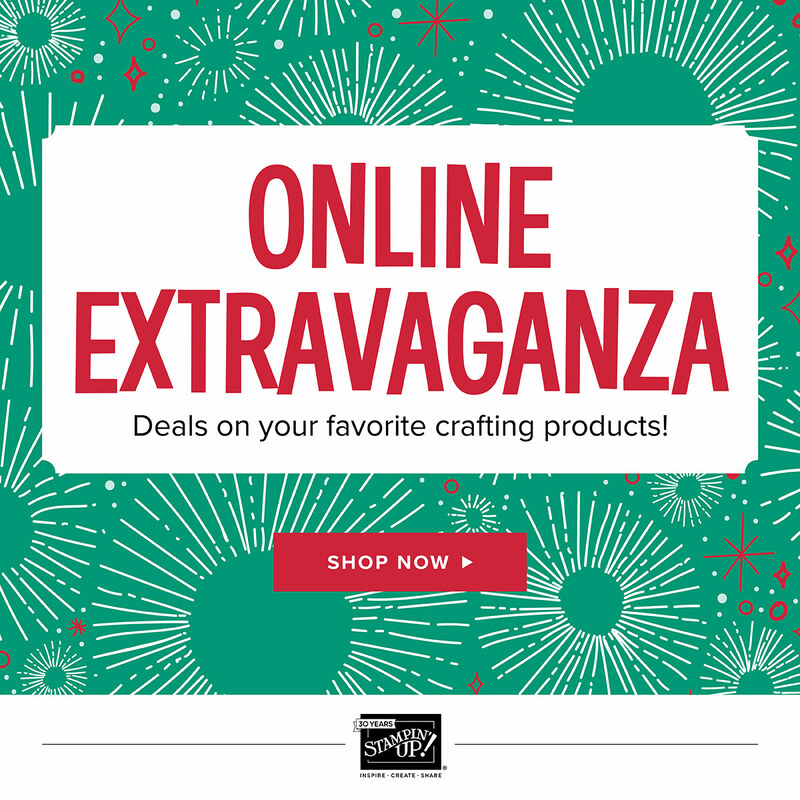 And, to add to all the other exciting news from Stampin' Up!, starting Nov. 20, it will be time for the Online Extravaganza Sale again with savings on many of your favourite craft supplies. Keep your eyes on this spot for more info in the coming days!